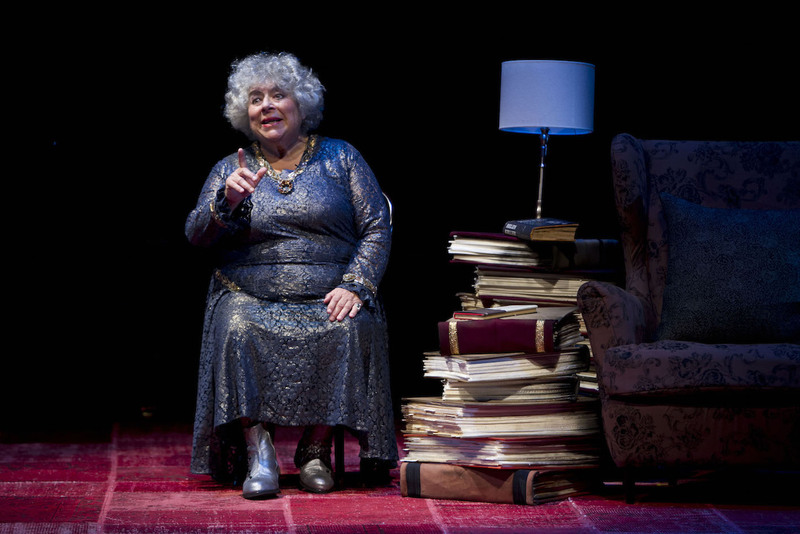 Winning us over with her delightfully self-effacing candour, Margolyes holds court in a gently endearing manner, allowing the stories and excerpts to work their wonder. Despite the successful screen career, there is no clip reel of highlights, just Miriam in the flesh, a sprightly 73 with a memory as sharp as ever. Our conduit to a world of royalty, Hollywood and Broadway, Margolyes tells delightful tale after delightful tale, each told with exquisite comic timing and each set up to a hilarious punchline. Her gift for mimicry enhances the storytelling, as she presents us with Maggie Smith, the Queen, Baz Luhrmann and sundry folk from around the globe. Watching Margolyes work for an extended time like this, it is apparent that her gift for mimicry extends beyond mere voices. Her facial expression and body language change perceptibly with each character, even during rapid conversation between two characters. 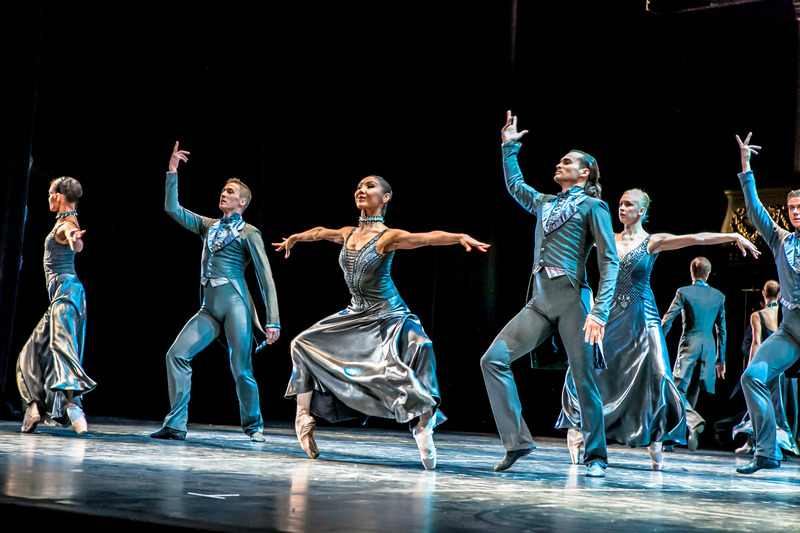 Given the even quality of the performance, highlights of the literary and dramatic excerpts are difficult to pick. The Coaster Coster in Court gives us an early pre-cursor to Vicki Pollard. 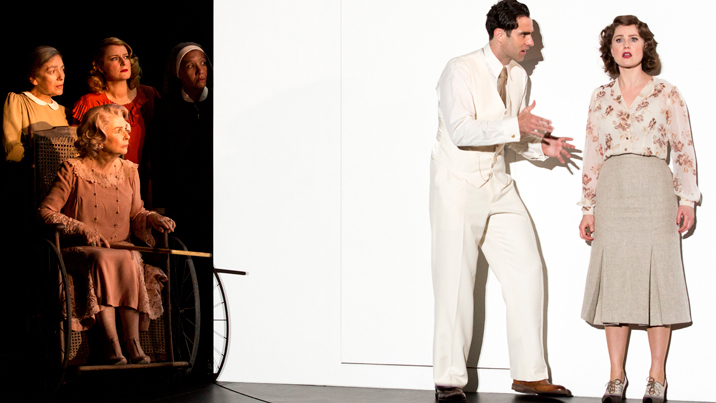 Act one concludes with a scene from hit play Gertrude Stein and a Companion. The second act is just a bit heavier on scripted scenes and lighter on personal stories, but interest rises as we come to more well-known characters, such Juliet’s Nurse, Lady Bracknell and Miss Havisham. While the anecdotes are mostly humourous, there are also tender moments, such the reading of Clive James’ Japanese Maple a beautiful reflection of life near its end. 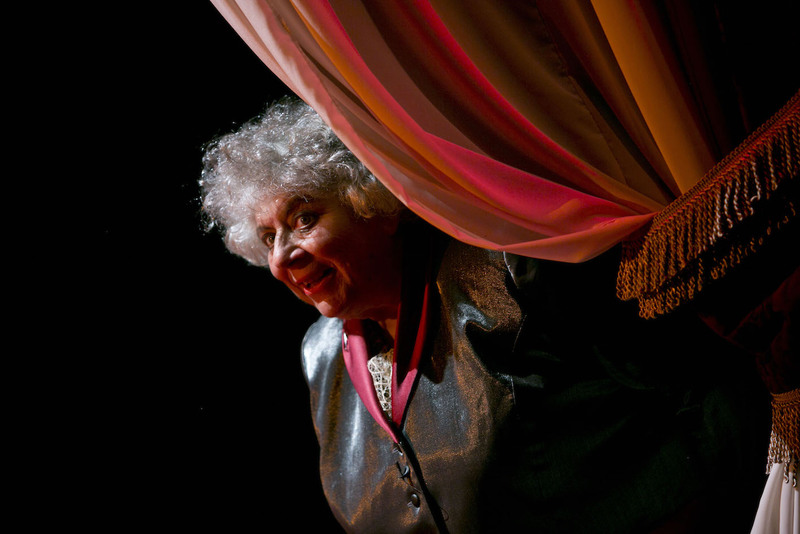 Margolyes has the courage to conclude the show with a pair of dramatic stories from her family history. There is no sugarcoating or call for sympathy, just the frank re-telling of two very difficult times. 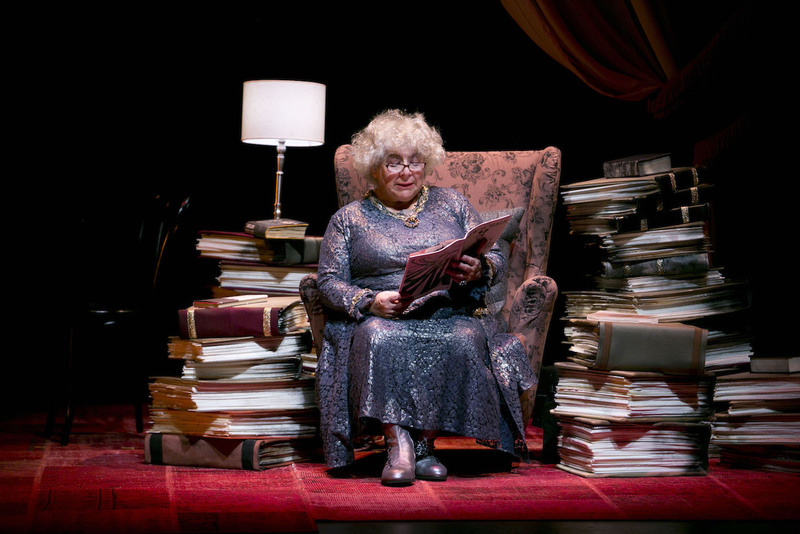 Director Peter J Adams has expertly drawn out a fascinating range of life stories, shaping them into a natural flow of reminiscences, in which Margolyes appears to be spontaneously recalling the tales as the show unfolds. The finished product is far better than overhyped shows, such as the Barry Humphries Farewell Tour, with its crass content and gaudy spectacle. 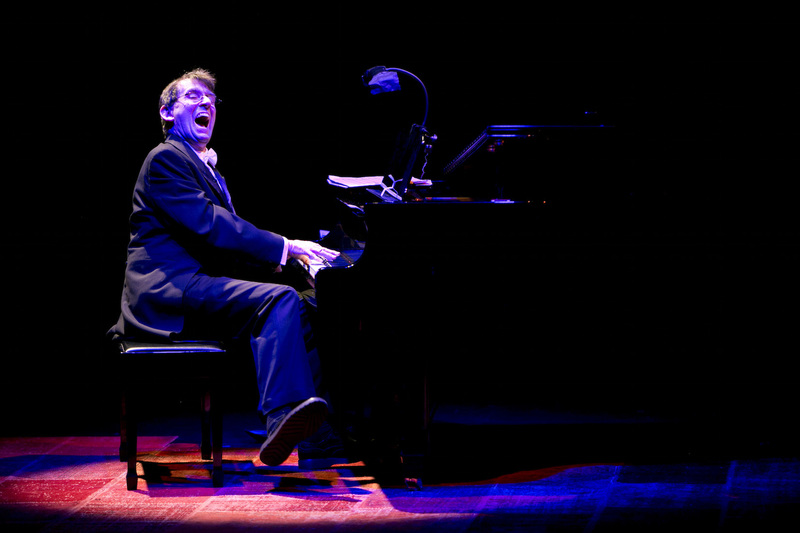 Pianist John Martin acts as accompanist, soloist and confidante. Adept at a range of musical styles, from music hall to classical, Martin’s own compositions, in which he sets famous text to music, are most impressive. Matthew Aberline’s set design splits the action between a comfy lounge chair and a chaise lounge, each surrounded by piles of well-read manuscripts. A worn checked rug completes the “lived in” vibe, with a grand piano and a sweeping curtain adding a touch of theatricality. Robert Cuddon’s lighting neatly punctuates the material, as do the musical interludes. The varied approach, however, means that there is no sense formula to the proceedings. Marion Boyce dresses Margolyes in a generous frock then a pants suit, each featuring a bit of extra sparkle in the fabric. 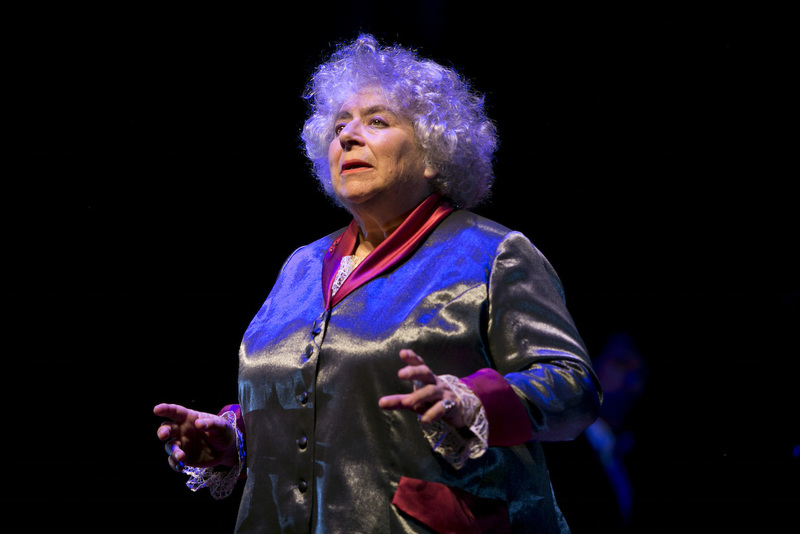 Do not miss the chance to revel in the company of international treasure Miriam Margolyes. 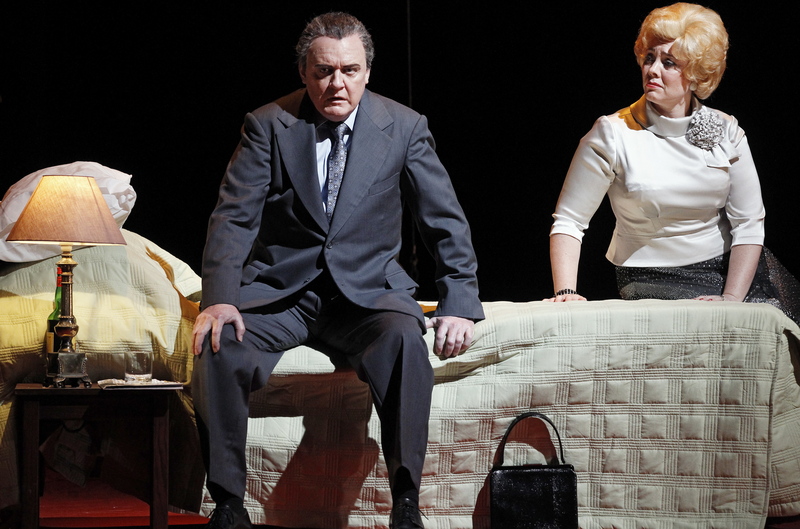 The Importance of Being Miriam plays at Playhouse, Arts Centre Melbourne until 22 March 2015. The Melbourne season of The Importance of Being Miriam was the first of a 16-venue Australian tour, including further Victorian dates.